7 Huge Mistakes to Avoid when Creating Your Signature deck! 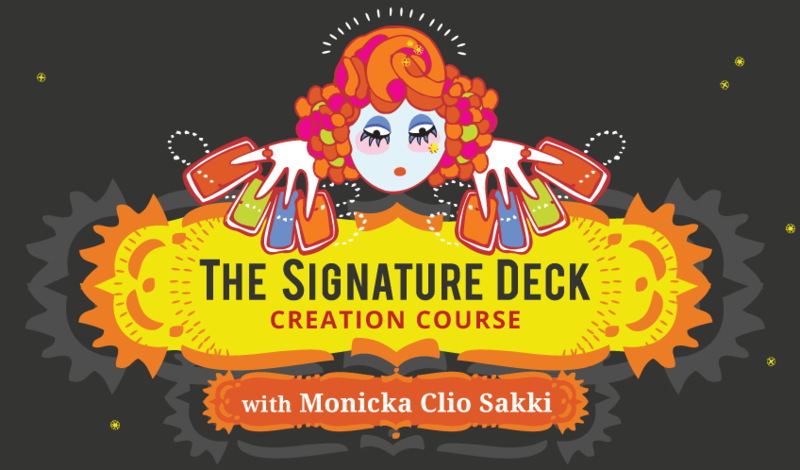 Get inspiration + creative direction + mentoring to crack your signature deck and turn it into a brand. Tarot, Oracle or a deck to complement your Business! IT WAS WRITTEN IN YOU. The Sakki-Sakki has been a mainstay for me ever since I got it. I get the best, deepest, most resonant spreads out of it. I don’t ever even use any other deck anymore. It speaks to me. It’s the deck of my heart. Salon with me? Who am I to offer this to you? This course combines and offers everything I was professionally trained for + work + life! An artist who created and self-published the award-winning Sakki-Sakki Tarot for the Artist in Each of Us. The co-writer and publisher of the acclaimed companion book “Playing with Symbols”, while I didn’t think that I have a single writer’s-bone in me. 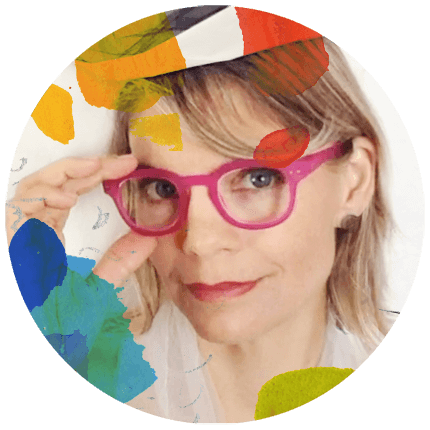 A creative director and illustrator specializing in branding and product development who worked in one of the biggest publishing houses in NYC. A certified art & design instructor with an MA in Visual Communications and Liberal Arts (with my Tarot deck as my thesis!!). An advocate of creative expression and Self-Magic! A toy collector building with lego on my spare time. Someone who wishes this kind of course was available when I first started on my own Tarot journey! Make it playfully. Wrap it seriously. I am thrilled with this Tarot deck. The Artist is a true genius and so full of the joy of life, intelligence and humor that using this deck for meditation or readings for others is quite a unique experience. Please continue to be creative and innovative. I was looking for a “quirky” deck for my “quirky” readings , yours in the one, so Thank you deeply for putting your work out there. Registration is now closed! Get on the waitlist and grab your free guide!